There is something very satisfying about working on a guide book. They are fact-based but leave lots of room to be creative. 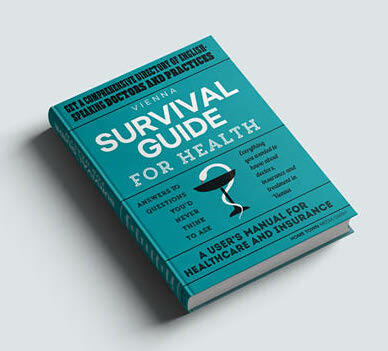 One of my recent projects was to copyedit and be part of a team of writers for The Vienna Survival Guide for Health. It is a stylish, hardcover (doubly satisfying!) book aimed at English speaking expats to decode the sometimes overwhelming healthcare system. Broken down into four sections, Insurance, Pregnancy and Childbirth, Treatment, and Doctors, the book answers a wide range of questions and gives brief concise explanations on everything from finding a midwife to understanding your insurance. The project itself was a pleasure to work on, but the real bonus was that the finished product is tanglible. In the age of the ebook, a real hard cover book with quality paper and inspiring graphics becomes a work of art!